If you lived in New York, you’d have MoMA and all its modern art opportunities on your doorstep. Odds are you don’t live in New York, and whilst that doesn’t stop you putting art galleries on the kids’ agenda, it does make MoMA tricky! 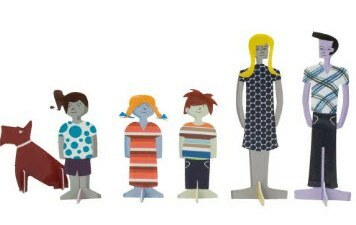 Happily, children can still have their own little bit of MoMA via a new range of toys. 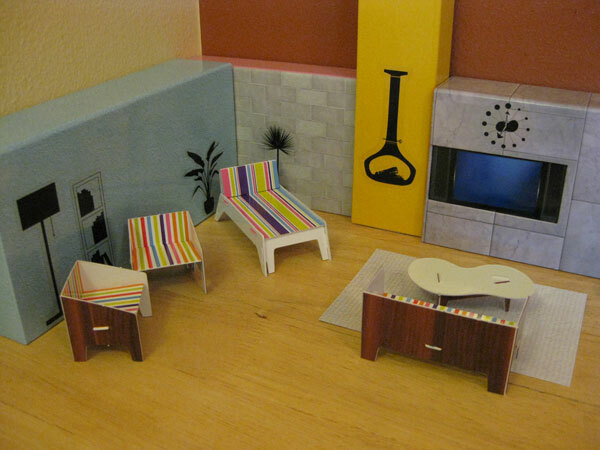 The MoMA toy collection is small but thoroughly modern. For preschoolers, there are Lacing Shapes – a series of bold, die-cut cards in different shapes, colours and textures that can be laced alone or together to create a piece of hanging art – and String-Along Books, a set of ten books about colours and patterns that double as stacking blocks and beads. 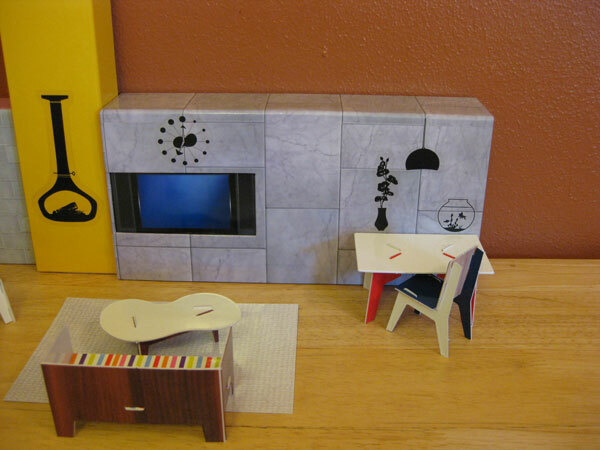 But the bit of MoMA that I can’t wait to get my hands on is the Modern Playhouse. 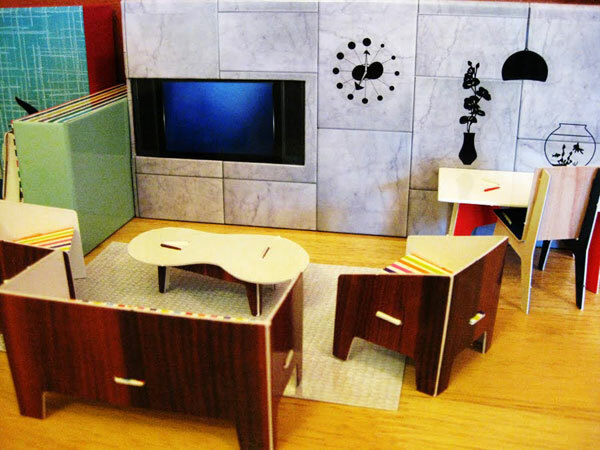 Comprising a set of six modular nesting boxes, mix-and-match furniture pieces and removable vinyl clings (lamps, a pot-bellied stove and plants), young interior designers can create the perfect modern space over and over again. 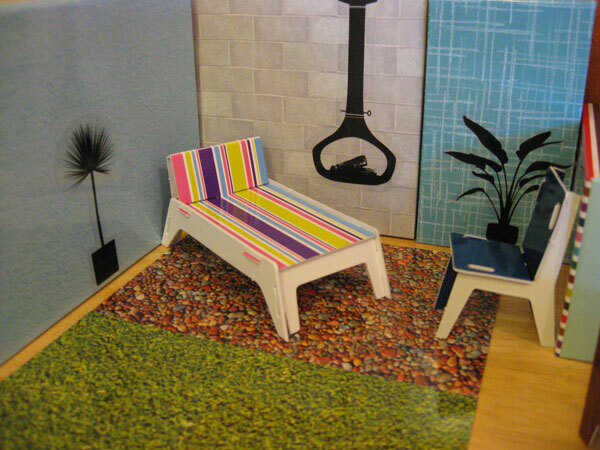 Add the perfect modern family to the house – five people, a cat, a dog, a doghouse and over one hundred and fifty mix-and-match vinyl cling clothes (I like the dad’s rockabilly quiff and loud Hawaiian shirt) and you’ve got one smart scene. The MoMA house is $43 and the Press-Out Family is $35 and both are available in Australia from Red Nest. Lacing Shapes are US$14.99, String-Along Books are US$18.99 and are available through the MoMA online store and can be shipped to Australia.